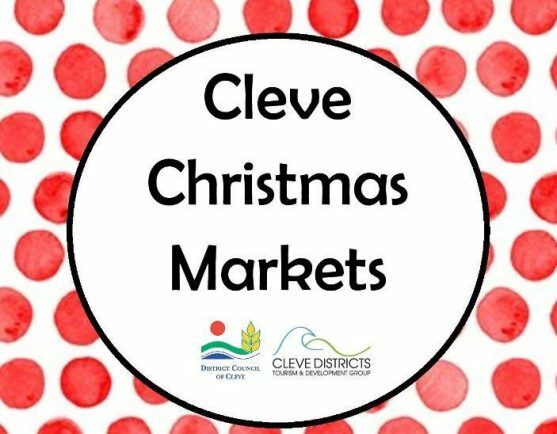 The Cleve Christmas Markets are on again! 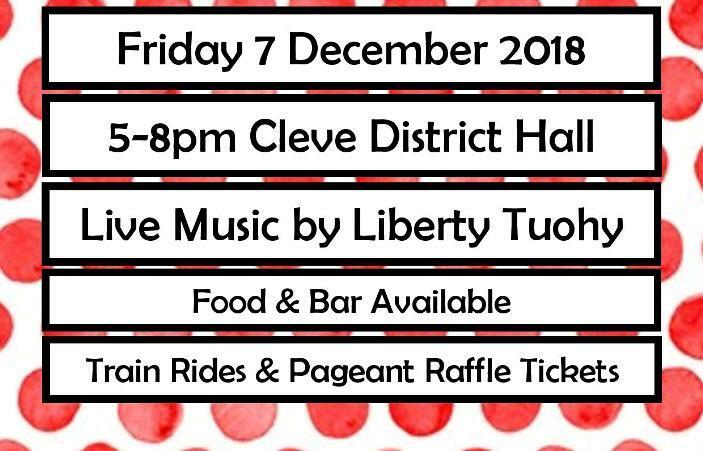 From 5-8pm on Friday December 7 get into the Christmas spirit by heading down to the Cleve District Hall for stalls, live music and plenty of food and drinks. There are still spots open for stall holders so if you’d like to register phone 8628 2004 or email council@cleve.sa.gov.au to express your interest. To receive updates on the Cleve Christmas Markets visit the event page: https://www.facebook.com/events/531183037307871/.